Professor Rosemary A. Joyce University of California, Berkeley Visions of nuclear landscapes: seeing from the perspectives of art, cultural heritage and archaeology The global nuclear industry has for three decades drawn on sites such as Stonehenge as warrants for proposals for the long-term marking of nuclear waste repositories. In the specific context of the United States, where these projects are exceptionally well documented in publicly accessible planning documents, the result has been a proposal to build a pre-formed archaeological site, a ruin that comparisons drawn suggest would qualify for listing as a World Heritage Site. Alternative proposals, some from the same planning process, and others from activism in opposition to the nuclear industry, present art projects as alternative ways of marking contaminated landscapes. Triangulating between the proposals rooted in what I argue is a cultural heritage logic, and those from art worlds, an archaeological sensibility questions both visualisations as overly static and deterministic, expressions of human agency conceived of as singularly effective over spans of thousands of years. Paradoxically, I argue that the archaeological perspective calls us to question the intelligibility of landscape-scale installations conceived of as simple visual markers, and instead demands that we think about multi-sensorial perception of differences that might be as simple as variation in the textures of sediments, and how such differences are narrated, retold and remembered over time. 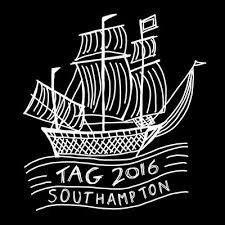 Read Professor Rosemary A. Joyce's keynote lecture, given at TAG 2016 in Southampton.